Welcome to the Centre Pierre-Nicole website. 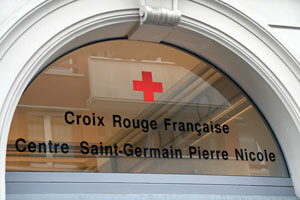 The Centre Pierre-Nicole is part of CSAPA Pierre Nicole, member of the French Red Cross. Our center is opened all year round and offers a range of services with or without accommodation to persons suffering from psychoactive substances addiction. This site includes a description of the services we offer, department by department. The Saint-Germain Pierre-Nicole center, specialized in drug addiction treatment, is located in the 5th arrondissement of Paris, 27 rue Pierre Nicole. The nearest transportations are RER B (Port Royal) or metro line 4 or 6 (Raspail) or line 7 (Gobelins).